Welcome to the Wallaroo Community Sports Club. See below for the latest news and updates. The Wallaroo Community Sports Club’s (WCSC) objectives are to promote, support and encourage the community and visitors of the Copper Triangle and the Yorke Peninsula to participate in and have an appreciation of the sports of Lawn Bowls, Golf and Croquet, or just to enjoy the company of others all of which promote a healthy attitude to community participation and awareness. Check out our Clubs below! 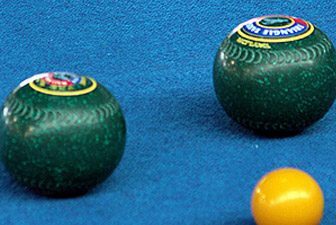 The Wallaroo Bowling Club offers you the opportunity to play on our world class indoor bowls greens (or should we say “Blues”). Two, six-rink, synthetic carpeted indoor bowling green, oblivious to outdoor inclement weather conditions, can be yours to enjoy at a price that you will love. 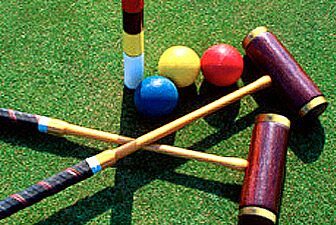 The Wallaroo Croquet Club offers an enjoyable outdoor experience that incorporates elements of snooker, billiards, golf and chess all in one game. Variations on the rules allow for croquet to be played as a casual, social outdoor sport or as a strategic, competitive game requiring skill and forward thinking. 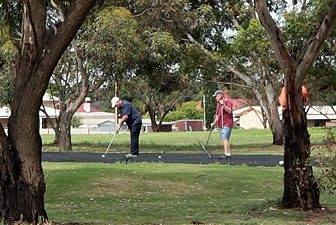 The Wallaroo Golf Club is an 18-hole course with greened and watered fairways attracting approximately 100 golfers each week, depending on the weather, from Wallaroo, Kadina, Moonta, Port Broughton, Ardrossan and Bute, as well as visiting golfers.